Not the loftiest of goals, but I’ll take it. This doesn’t mean I’ll stop baking. Nope. In fact, last week I made a cake and a pie and today I made cookies (don’t worry I didn’t eat it all). But I might to diversify my recipes to be a little more health conscious. So for the sake of resolutions, here is a lighter (I say lighter, not light because whipped cream is not healthy) dessert. It includes fruit, a bit of sugar, some spice, nuts and cream. It’s all about balance after all right? 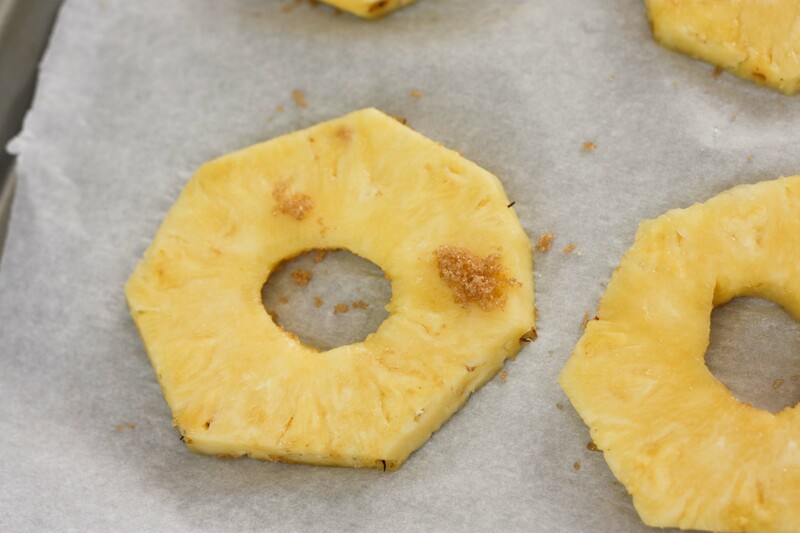 Slice pineapple and rub slices with brown sugar (about 1/2 tsp per slice). Place on a parchment paper lined baking sheet and roast for 10 minutes. Flip and roast for another 5-10 minutes or until golden. In the meantime, make whipped cream. Using a mixer, beat cream until it starts to foam and thicken, add cardamom, sugar and vanilla and continue to beat until it forms firm peaks. Set aside. Once pineapple is done. Allow to cool slightly. Place a few slices on a plate top with a dollop of whipped cream, sprinkle with nuts (whichever you’d like. I used pecans but I bet pistachios would be awesome), and drizzle with honey. 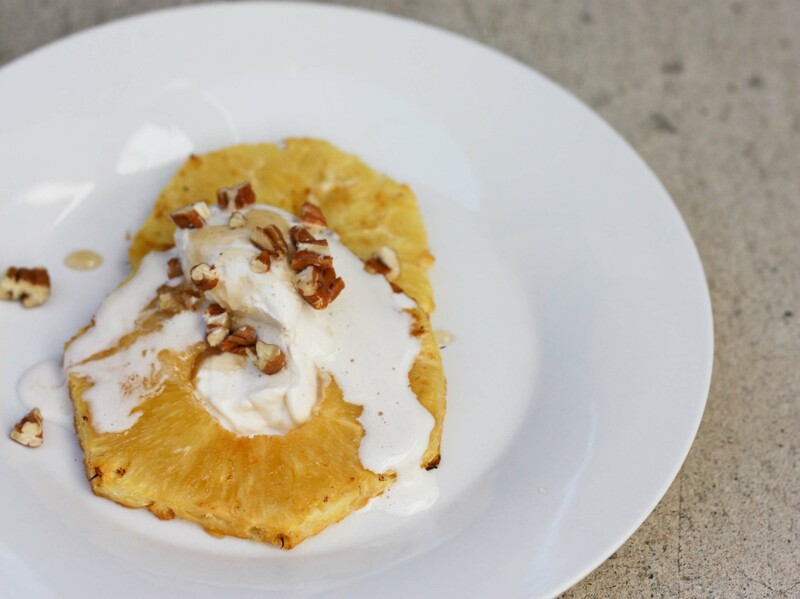 The whipped cream will melt a bit because the pineapple is hot. Depending on the size of your pineapple and how thick your slices are this should serve about 10 people. The beauty of this recipe is that it’s ok to NOT measure things. 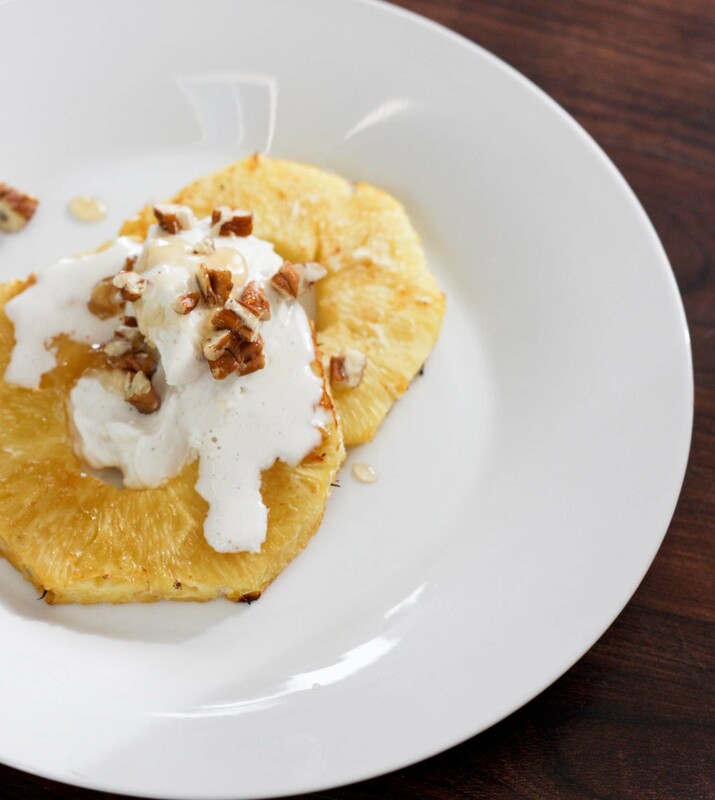 It’s easy to scale up or down, just take however much pineapple you want, rub it with some sugar, roast it, serve it with whipped cream (or ice cream?!?! ), sprinkle with nuts, drizzle with honey and BAM! 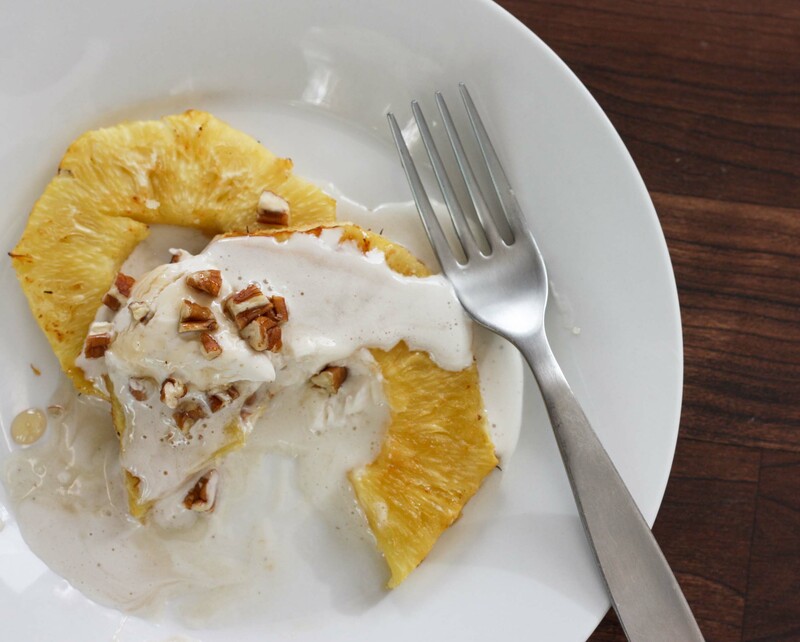 Quick and easy light dessert that will impress all. So whether your new years resolution is to lighten up, throw more dinner parties or become a master chef. This should set you in the right direction. oh, it looks delicious!!! well done.